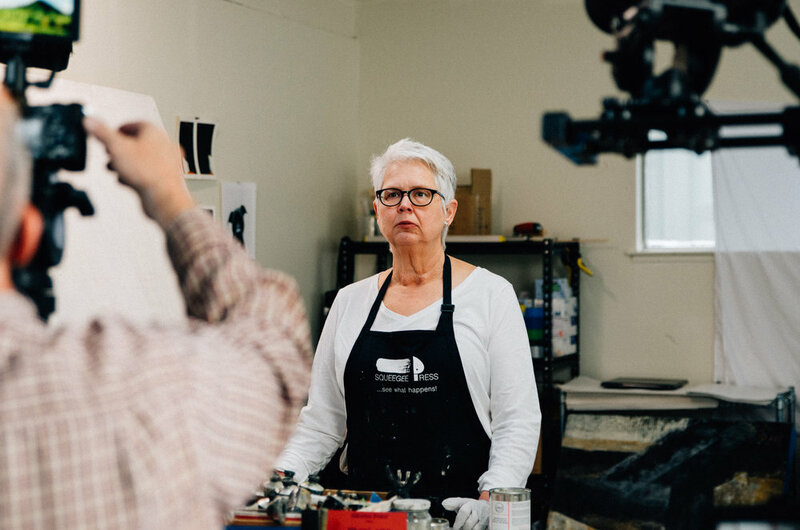 Rebecca Crowell and Jerry McLaughlin founded Squeegee Press to bring the joy and creativity of cold wax medium to artists through books, videos, workshops, tools, and artist mentoring. Now in its 2nd printing and winner of two international book awards, Cold Wax Medium: Techniques, Concepts & Conversations, is the first and only comprehensive guide for artists and collectors about this exciting medium. Nothing can replace working one-on-one with an instructor, but that isn’t always possible. So, Squeegee Press has produced its first in-depth, full-length, instructional HD video. Professionally filmed and edited, this nearly 7-hour video offers artists everywhere the opportunity to learn through actual observation of Rebecca and Jerry teaching. We custom-designed our exclusive line of SP CREATE Cold Wax Tools to offer you the highest degree of creativity and durability. Our SP CREATE soft brayers and silicone squeegees come in a range of sizes—perfect for small, detailed work up to large surfaces. We offer a variety of multi-day cold wax workshops for beginning to advanced artists. 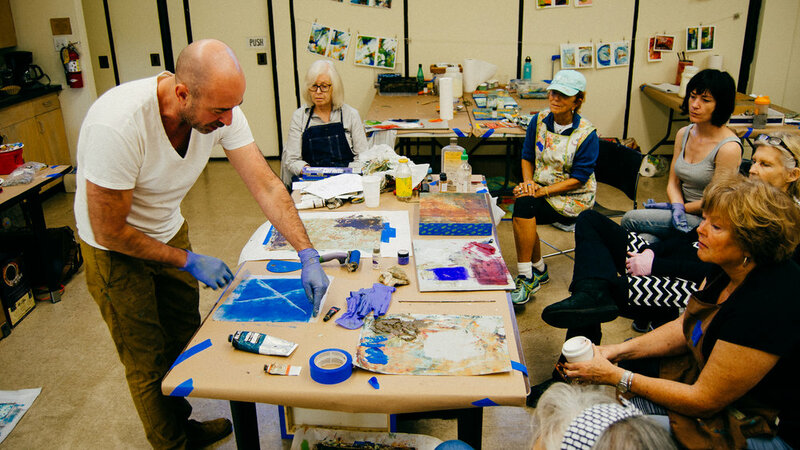 Providing more than just techniques, our workshops explore concepts important to both emerging and established artists, including approaches to abstraction, personal voice, professional development, and more. We teach across the US and internationally, including Italy, Spain, New Zealand, Ireland, Wales, Mexico, and Greece. Sign up with your email address to receive updates and purchase information. We respect your privacy. We never sell personal information. We will not stuff your inbox with emails, but we will keep you updated on our book, videos, cold wax tools, workshops, and any exciting projects we have.